Starin has appointed Malissa Dillman as a new market development manager, with the aim of expanding its go-to-market capabilities and integrator partner support. Recently, Dillman served as the director of training for Kramer Electronics, where she developed coursework and taught thousands of industry professionals. She was recognized by InfoComm as a Top Woman in AV in 2012 and later named the InfoComm Educator of the Year in 2013. Dillman is the first and only woman bestowed this honor. Prior to Kramer, she was a field sales engineer with ClearOne Communications. “The opportunity to use all of my experience and passion regarding education, technology, and being given free rein to be creative with marketing ideas and concepts is an opportunity that I couldn’t pass up,” Dillman said. “I hope that I will be able to lend my expertise into an already dynamic and outstanding team." Dillman’s keen knowledge of ClearOne and Kramer products will help her to guide the implementation of these products and others in system designs of Starin partners. “I’ve worked with Starin Marketing from the beginning of my career as an integrator and am excited by the out of box approaches the company embraces with regards to developing a true community of partners,” Dillman added. Founded in 1988, Starin has grown from a small, Midwest-based organization to North American coverage. The company is now owned by its employees, creating a culture of accountability and engagement. 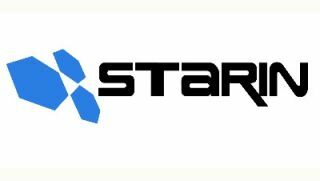 Fundamentally a business development firm, Starin performs market development, channel management, and demand generation functions for the associated brands.